Ever since I was a girl, I had only one career goal: to write for a living—and I’ve certainly done so! I’ve written a thousand articles for national publications and authored more than forty trade and text books. 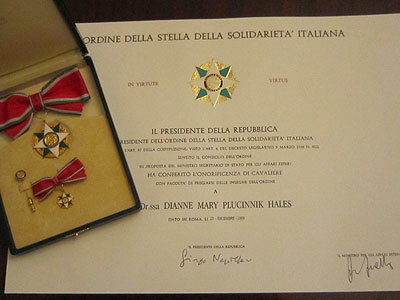 Although I’ve enjoyed all aspects of my career, the books inspired by Italy remain closest to my heart. 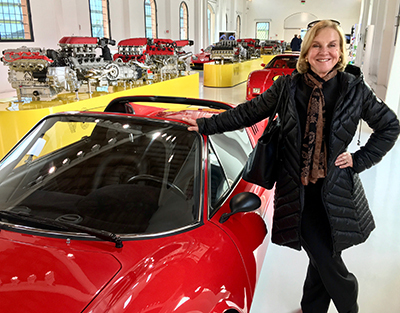 La Bella Lingua: My Love Affair with Italian, the World’s Most Enchanting Language, released in 2009, opened up a world of new experiences and new friends—and won for me the great honor of an Italian knighthood. While researching the history of Italian in Florence, I became intrigued by the story of the real woman—Mona (Madame) Lisa Gherardini—immortalized by Leonardo da Vinci. Over the course of several years I walked the streets in Florence where she lived, knelt in the chapel where she prayed, ventured into the long-abandoned convent where she died—and wrote Mona Lisa: A Life Discovered. “So are you done with Italy?” asked a man at one of my readings. “God, no!” I replied. The very notion seemed unthinkable—and impossible. Italy wasn’t done with me. With an unquenchable passion for Italy, I set off in search of the sources and secrets of la passione italiana— north to the Dolomites and south to Sicily, from Sardinia’s rugged western coast to Venice’s labyrinth of canals. My quest resulted in my latest book: La Passione: How Italy Seduced the World. I’ve also written trade books on subjects that include mental health, pregnancy and women’s issues and thirty editions of a college health textbook. In a long career as a freelance journalist, I wrote on a wide range of topics for many popular magazines and newspapers. I live with my husband on the coast of northern California—but every day I spend time in Italy, if only in my imagination. 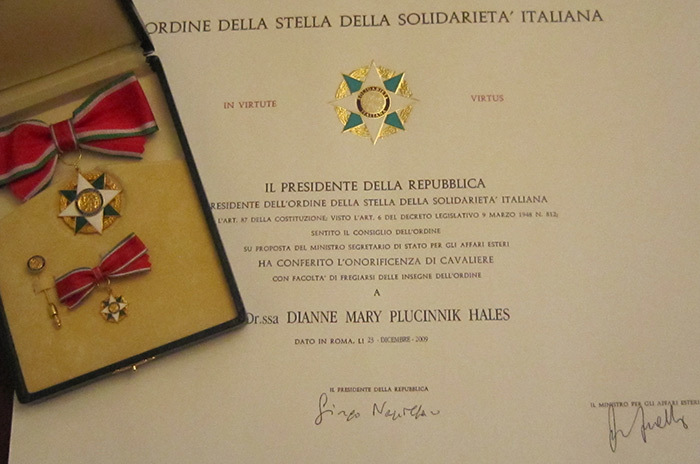 Dianne Hales is the author of La Passione: How Italy Seduced the World; La Bella Lingua, a New York Times best-seller; Mona Lisa: A Life Discovered, an Amazon best book of the year, translated into six languages; and more than forty trade and text books. Her other books (listed below) include Just Like a Woman, Caring for the Mind and thirty editions of a leading college health textbook, An Invitation to Health. 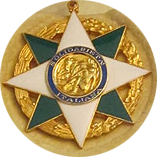 Following publication of the New York Times-bestselling La Bella Lingua, the President of Italy awarded Dianne the highest recognition the government can bestow on a foreigner: honorary knighthood, with the title of Cavaliere dell’Ordine della Stella della Solidarietà Italiana (Knight of the Order of the Star of Italian Solidarity), for her contributions to promoting the Italian language. 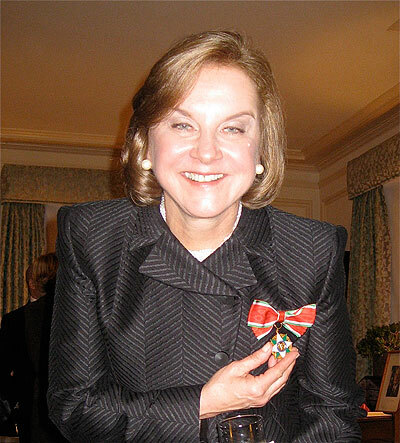 As a widely published freelance journalist, Dianne served as a contributing editor for Parade, Ladies Home Journal, Working Mother and American Health and has written for many national publications, including The New York Times, Psychology Today and The Washington Post. She has received writing awards from the American Psychiatric Association, American Psychological Association, an “EMMA” (Exceptional Media Merit Award) for health reporting from the National Women’s Political Caucus and Radcliffe College, three “EDI” (Equality, Dignity, Independence) awards for print journalism from the National Easter Seal Society, Arthritis Foundation, California Psychiatric Society, CHADD (Children and Adults with Attention Deficit / Hyperactivity), Council for the Advancement of Scientific Education, and the New York City Public Library. La Passione: How Italy Seduced the World, Crown, 2019. Mona Lisa: A Life Discovered, Simon & Schuster, 2014. La Bella Lingua: My Love Affair with Italian, the World’s Most Enchanting Language, Broadway Books, 2009. Think Thin, Be Thin, with Doris Helmering, Broadway Books, 2005. The Mind-Mood Pill Book, with Robert E. Hales, M.D., Bantam Books, 2000. Just Like a Woman: How Gender Science Is Redefining What Makes Us Female, Bantam Books, 1999. Caring for the Mind: The Comprehensive Guide to Mental Health, with Robert E. Hales, M.D., Bantam Books, 1996. Intensive Caring: New Hope for High Risk Pregnancy, with Timothy Johnson, M.D., Crown, 1990. Depression; Pregnancy; The Family (three volumes in The Encyclopedia of Health), Chelsea House, 1989. How to Sleep like a Baby, Ballantine Books, 1987. Case Histories, in The Encyclopedia of Psychoactive Drugs, Chelsea House, 1987. The U.S. Army Total Fitness Program: Be All You Can Be, with Robert E. Hales, M.D., Crown, 1985. New Hope for Problem Pregnancies, with Robert K. Creasy, M.D., Harper & Row, 1983. Fitness after Fifty, with Herbert deVries, Ph.D., Charles Scribners Sons, 1982. The Complete Book of Sleep, Addison-Wesley, 1981. An Invitation to Health (nineteen editions) and An Invitation to Health, Brief (eleven editions), Cengage Learning, 1981-2020.